Millionaire Shoes by Lee Arnold. Hard Copy. 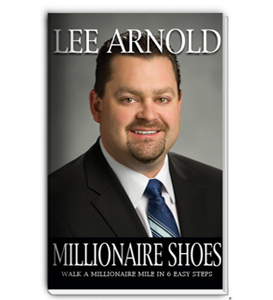 In his book, Millionaire Shoes: Walk a Millionaire Mile in 6 Easy Steps, Lee Arnold takes you through the 6 steps that allow you to think, feel, and act like a millionaire. 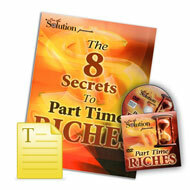 You'll learn how to shed the cloak of poverty and don the shoes of the super-rich. Self-Made Millionaires Identify an Opportunity and Immediately Take Action! Here's Your Chance To Start Acting Like a Millionaire! Order this book today and get your own pair of Millionaire Shoes!